Just because a shooter is new to a rifle discipline doesn’t mean they can’t outperform some of the more experienced competitors on the firing line. Shawn Risdon demonstrated this in his recent F-T/R performance using a Criterion Pre-Fit Barrel at the Palmetto Gun Club in Ridgeville, SC. 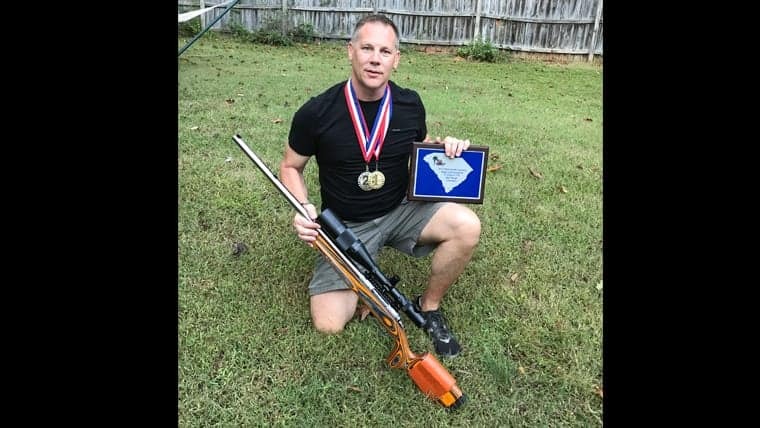 With a mere 13 months of F-Class competition under his belt and only one mid-range match fired at 600 yards (he had previously placed first at a recent Talladega Marksmanship Park match), Shawn scored an impressive 1182 – 43X, winning the South Carolina state mid-range championship. While Talladega offers an electronic scoring system that registers impacts in real time, the Palmetto Gun Club doesn’t have pits to pull targets, forcing the shooter to essentially shoot blind. This requires competitors to have detailed knowledge of how their rifle shoots in various weather conditions, as there are no scoring disks to indicate how much windage or elevation adjustment is required from shot to shot. Purchased through Northland Shooters Supply, Shawn’s custom Savage pre-fit barrel is chambered in .308 Win with a 1-10 twist. Shawn uses a pair of different loads optimized for different ranges. One load designed for 300 yards features a 168 gr. Sierra MatchKing, while his second load is configured specifically for high performance during the 500 and 600 yard course of fire. This entry was posted in Articles, Reviews, Shooter Testimonials and tagged competition, criterion barrels, criterion barrels record, criterion f-class, Criterion Record, pre-fit record, precision rifle series, prs, savage. What Kind of Accuracy Can You Expect From Your Criterion AR-15 Barrel? Ammunition Quality Makes a Difference!